Forget about over the hill parties, those have become cliche. 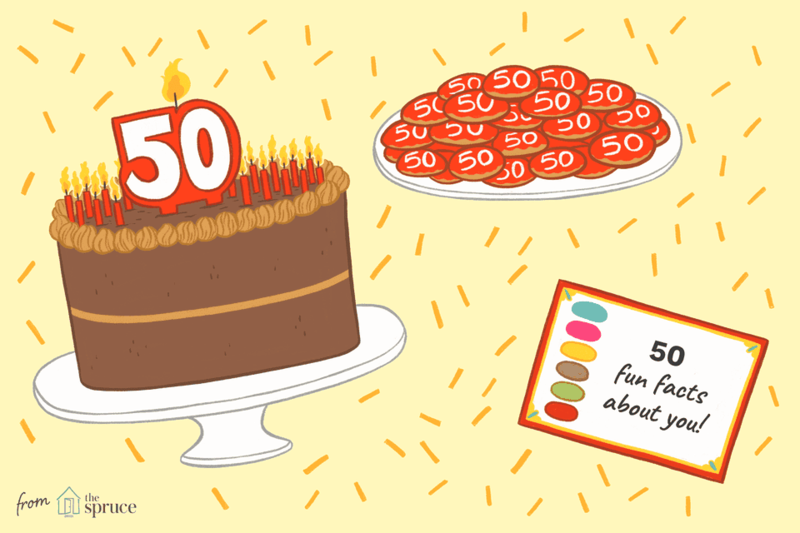 Fifty is no longer what it used to be; it's time to celebrate and have a good time. A person has spent 50 years on this earth and when they reach that birthday milestone there is cause for a celebration. Some cultures believe that reaching age 50 is an age that deserves special, respectful attention. In the Netherlands, a woman reaching 50 celebrates her “Sarah birthday” and a man is celebrating the "Abraham birthday," both terms derive from the biblical couple. So if you’re looking for fun ideas for a 50th birthday, give some thought to any or all of the following ideas to show just how wonderful this milestone really is. Since you are celebrating 50 years, invite one friend for each year. Be sure you plan to have the party in a space that’s big enough to fit all of those guests. If it’s an outside party, there may be enough room, but be prepared for a change in the weather. If it’s going to be an inside party, and your home can’t fit that many guests, you can hire a catering hall to host the event, rent a room at a local restaurant, book a room at your golf club, or see if your church has a room you can rent. Fifty is an impressive number. A person reaching that age has likely accomplished many things both professionally and personally. Consider kindly roasting the birthday boy or girl by reading off any or all of the following lists during the party that describes the guest of honor. You can ask your guests to help fill in these lists either during the party or when they RSVP for your celebration. Just be sure you have a complete list ready in case guests forget to bring ideas for you. String a clothesline around the party venue and use it to hang 50 pictures of the guest of honor. You may need to ask guests to supply pictures to you before the party. Hang 50 words from the ceiling that best describe the wonderful things about the birthday honoree. Fill a table with 50 framed photos of important family moments in the life of the birthday boy. Float 50 helium balloons in his or her favorite color at the entrance to the party room. Put together a playlist of his or her 50 favorite songs spanning the decades. For dramatic effect, serve finger food that can be displayed on large trays in quantities of 50. If the party will be a potluck, be sure to give your co-hosts clear instructions regarding the food theme, and how to present their contributions. If you don’t have enough large trays or platters, most party stores sell inexpensive trays that can be used for this purpose. You can give guests small silk pouches filled with personalized M&M’s that have the number 50 printed on them. If chocolate is not your guest of honor’s favorite thing, give out personalized cookies with the number 50 on the cookie.